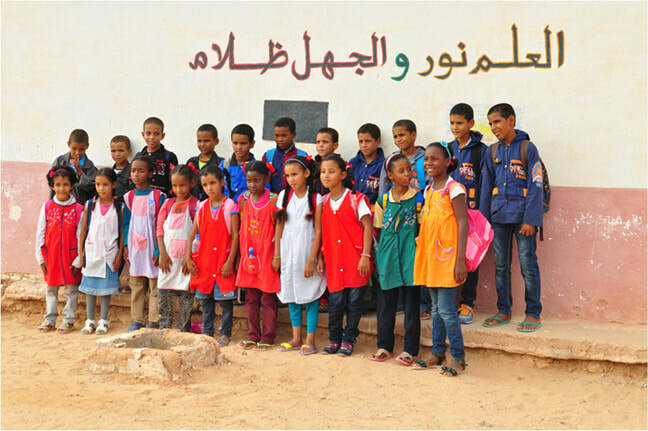 The Western Saharawi community is committed to working with arts and culture as a tool for personal expression, collective identity and community development. Our first visit to work with this community took place in 2013 as part of the ARTifariti Festival. We returned in 2014 to continue our work with a focus on fostering a range of capabilities via the arts the children at the local primary school. 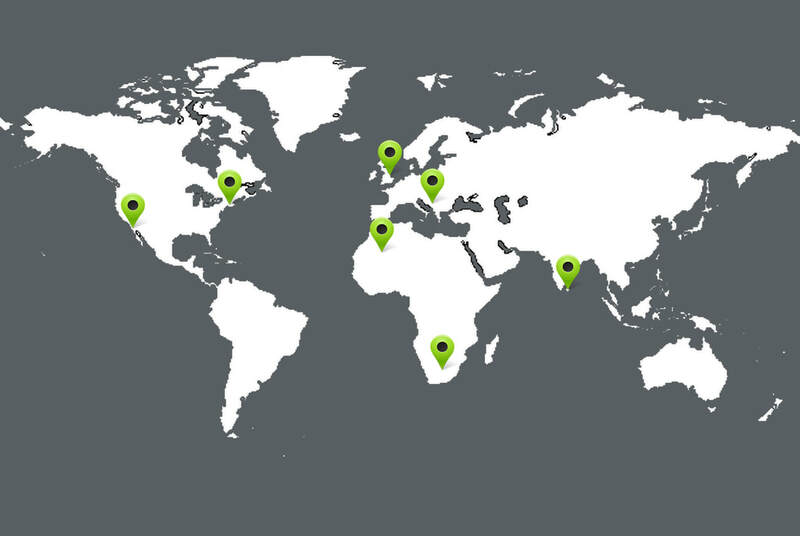 Since 2014 our work has continued at a distance by way of partnerships with Motif and Shared Roots with more projects in the camps in the works for the future. Our art partners from Camp Boujdour Primary School! Outside My Window. ​This year we did two projects as part of our participation in ARTifariti. We brought the large-scale Body Maps created by our partners at Fell-Bach Haus in Suhareka, Kosovo and at Adelphi University on Long Island to the festival. This artwork was used to introduce the project to a group of 4th graders at the Primary School in Camp Boujdour. We started the work with a discussion about the symbols, colors and imagery found on the Kosovar and USA Body Maps. 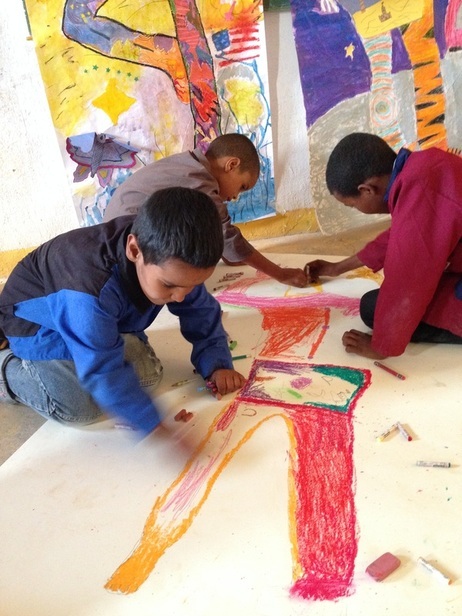 The children then broke into teams of three to design and complete their own Body Maps - mixed-media large scale artworks that express the experiences, hopes and dreams of these children. introduction to the community of Suhareka, Kosovo via the Body Maps artwork. Experiencing the joy and play of personal and collective expression via the arts. Shared Roots. ArtsAction Group teamed up with the Shared Roots Project, a creation of Terrence Ross at Adelphi University. We worked with interested individuals and families to create profiles of an ancestor - using narratives, poetry, and in some cases, photographs. These stories and images will be uploaded to SharedRoots.net, to be seen by people around the world. As Enas Elmohand, a member of ArtsAction Group put it, "history runs like a brook through the rich forest of time, negligent of the songs of individual birds." 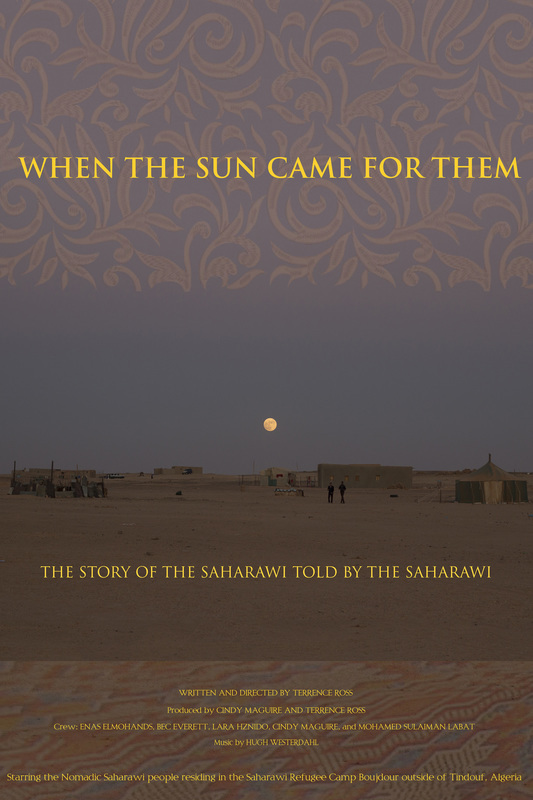 ArtsAction Group and the Shared Roots project worked with the Sahrawi community to add the songs of their ancestors to the recorded symphony of our collective history. 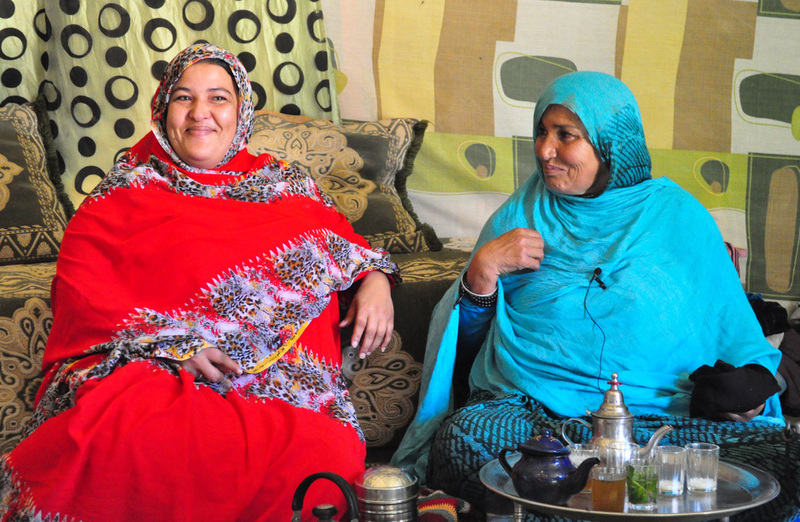 Fatima Mohamed Mahmua Buda (right) and her daughter share stories of the husband/father. 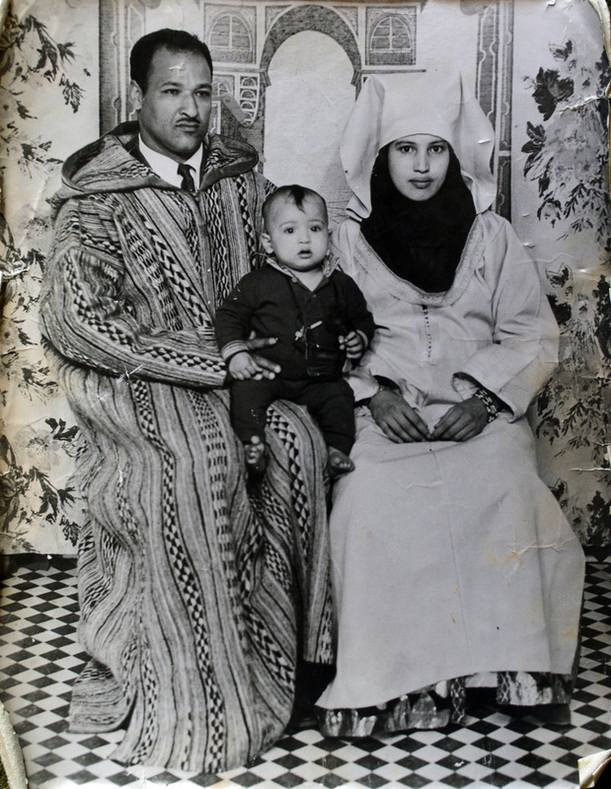 The father and family in the Western Sahara prior to fleeing to the camps. Excerpt from interview with Fatimatu Mint Budda, Camp Boujdour. Water Stories. Our first trip to the Western Sahrawi refugee camps outside of Tindouf, Algeria was to produced and roll out a combined arts and public health initiative organized by ArtsAction Group in partnership with the Children’s Environmental Literacy Foundation (CELF), PackH20, and the Association for Friendship with the Saharawi People of Seville (AAPSS). For this project we designed a series of arts activities as a means of introducing PackH2o to the refugee community in Camp Boujdour during the ARTifariti Arts Festival that took place November 2 through November 8, 2013. Water is a pressing issue for this community. Refugee camp members and the nomad community can travel upwards of 50 miles for water. Various mining industries as well as improper holding containers that leach toxins, also impact quality, access and availability for all. The Ministry of Water and Environments of SADR with the support of ArtsAction Group and PackH2o, are now conducting a needs assessment for how the packs might be used by the camp and nomad communities. Two of the packs were silkscreened by Sahara Libre Wear and featured in the ARTifariti fashion show. 2013 Scenes from the camp and projects. Play. ArtsAction Group also held two arts workshops for children at the local primary school. The first workshop, linked to the PackH2o initiative, was for the students' to share their stories about water through drawings and a large scale collaborative mural. We shared a water story mural created by a group of students from the Allen-Stevenson School in New York City with the Sahrawi students. As one Sahrawi student put it, water is the gift of life. For the second workshop balloons were introduced as a medium for creating sculptural headdresses. One of our aims was to introduce the students to art making with non-traditional materials, incorporating skill-building activities through directed play. After much laughter, experimentation and popping of too many balloons the group came up with beautiful, fanciful head dresses. Children were spotted wearing their headdresses throughout the camp center later that evening.